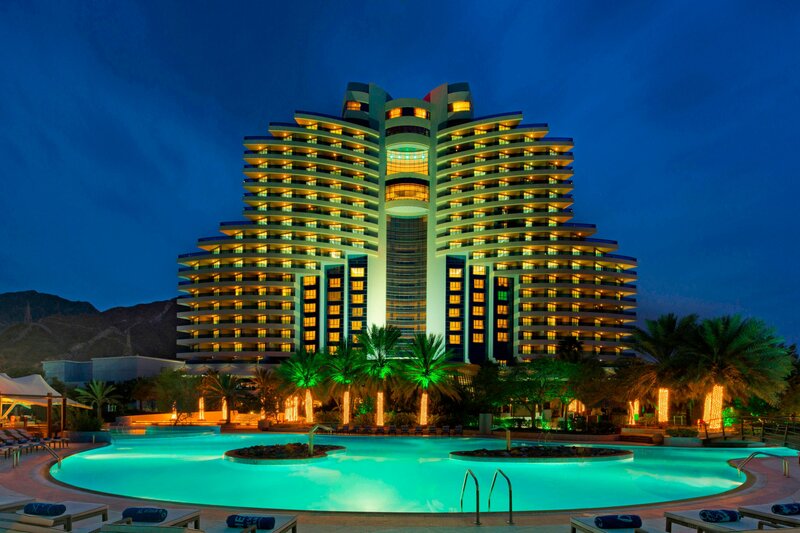 Nestled between the extraordinary backdrop Hajar Mountains and the glistening Indian Ocean, Le Meridien Al Aqah is a family friendly resort in Fujairah providing a scenic setting for a fun filled holiday. Renowned for its outstanding international cuisine and service, guaranteed spacious sea view rooms, spa, kid’s club, teen’s club, leisure and conference facilities. It also offers one of the best all-inclusive beach resort experiences in the region. Just a 90-minute drive from Dubai International Airport, this resort is an ideal location for romantic getaways, weekend breaks, anniversaries, wedding celebrations and family holidays. Experience the dramatic meeting of verdant mountains and Cobalt Sea, where outdoor adventures fuse with modern venues and rich traditions. Explore the various water sports activities with Alboom diving and the “Al Aqah Challenge” ropes course with zip lining, climbing and abseiling. If you wish to absorb a little of the local flavor the township of Fujairah is round the corner. Home to many exotic species of fish, the coral reefs off the coast offer divers and snorkelers the ultimate underwater experience. The town&apos;s beautifully clean shell covered beaches are an idyllic setting for sun worshippers in search of peace and relaxation. Fujairah enjoys a rich cultural tradition and a recorded history of over 2,000 years. The Al Bidya Mosque is over 400 years old and is a unique example of engineering for the time. Fujairah also boasts some of the most important archeological finds in the Arabian Gulf –excavations have shown that man&apos;s presence in the region dates back to the Iron Age. 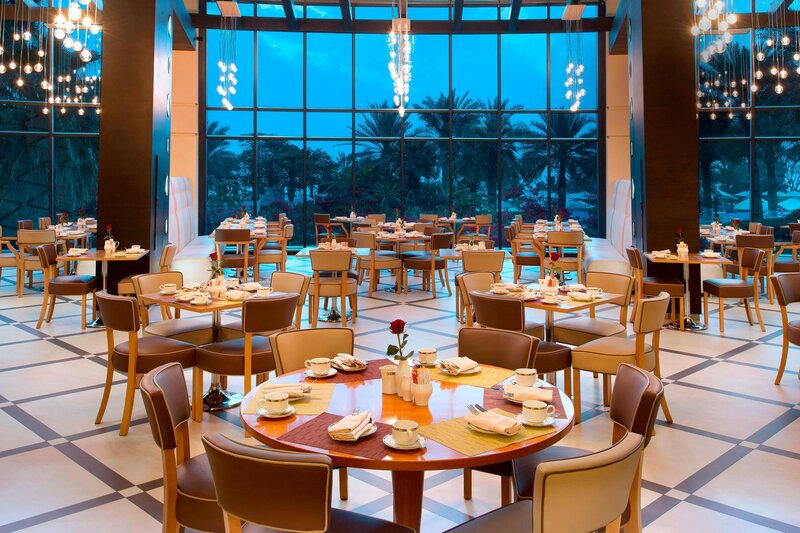 A paradise for foodies, Le Meridien Al Aqah is known for its versatile option of cuisines. 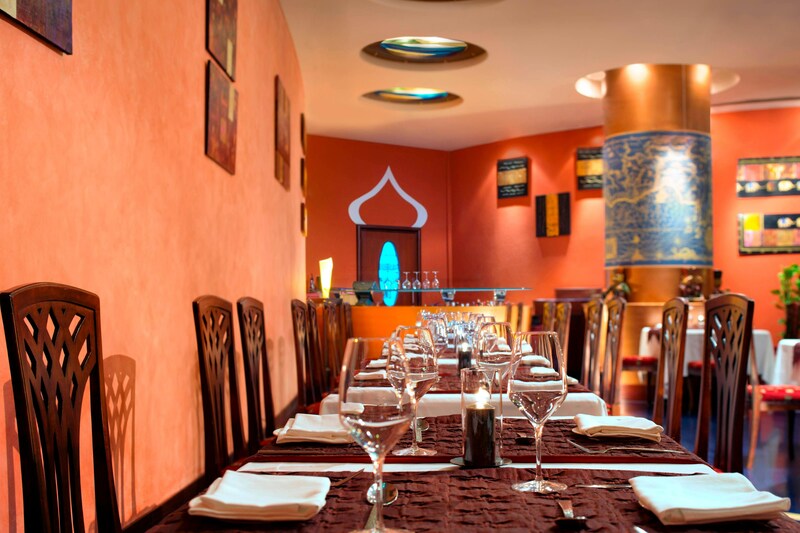 Embark on a culinary journey around the world and delight in the tastes of Indian, Thai, Italian, Arabic, International and Mediterranean cuisines. 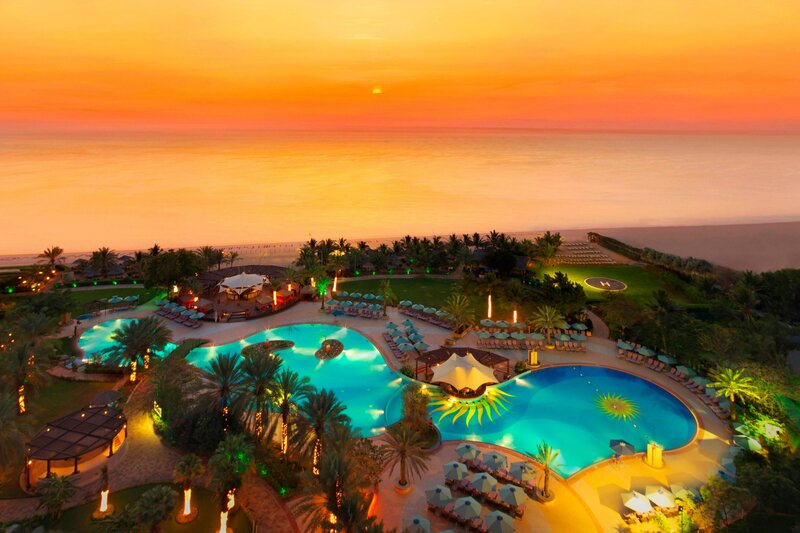 Satisfy even the most sophisticated palates at Le Méridien Al Aqah Beach Resort in Fujairah. Choose from our 8 indoor and outdoor dining options and our In-room Menu. 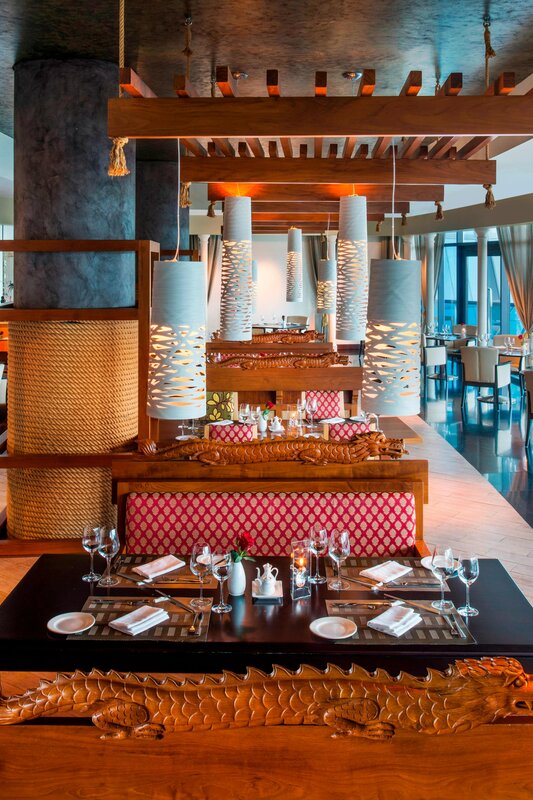 An array of dining options makes Le Méridien Al Aqah Beach Resort an ideal setting for hosting an anniversary, birthday celebration, wedding, or any special occasion. A hideaway for our little guests to enjoy a host of games, outdoor activities, mini golf, gaming arcade, kids&apos; disco, water slides and a temperature controlled pool of their own. Under the watchful supervision of our friendly and qualified childcare staff, you can relax knowing your children are happy and safe in our recently renovated and upgraded private clubhouse, with indoor and outdoor play areas, covered swimming pool and large playground. 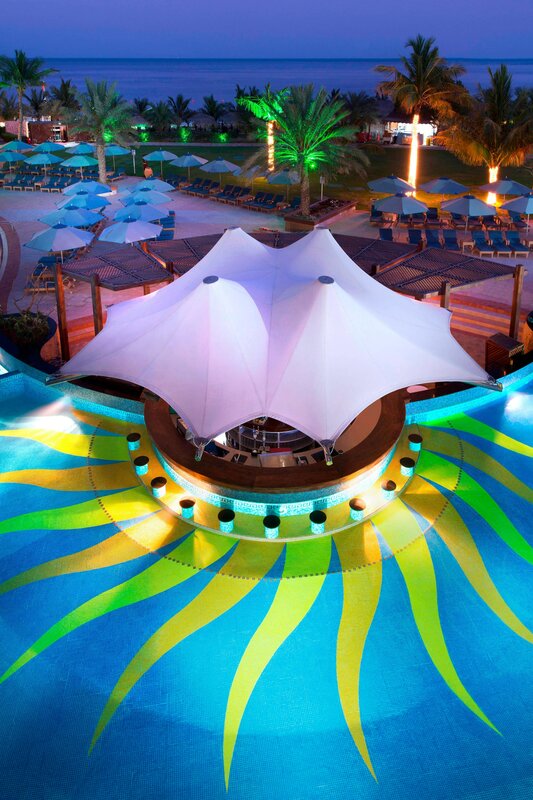 Dive right into the biggest free form swimming pool in the East Coast of Fujairah complimented by the Baywatch village featuring the beach bar with an array of food and drink options as well as the pool bar in the centre of the pool. 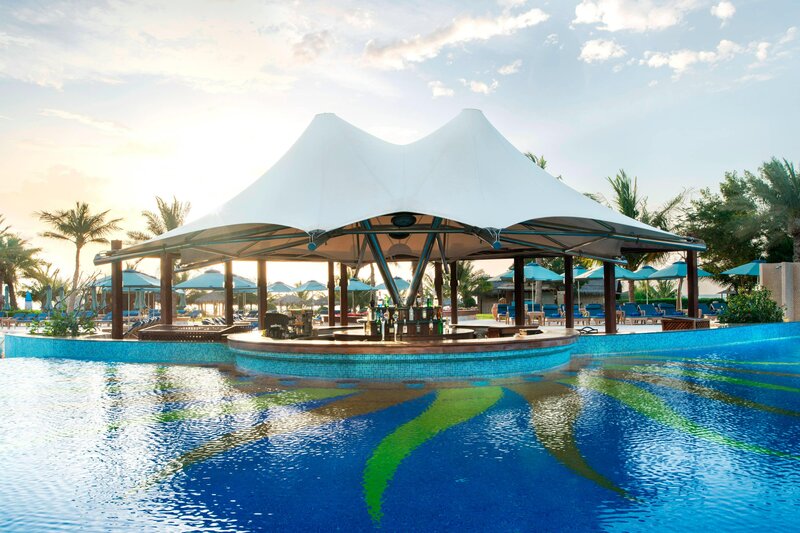 The Baywatch village features the beachfront bar overlooking the golden sand and blue ocean waters, a perfect spot for memorable sundowners and the suited swim up pool bar in the largest temperature controlled swimming pool on the East Coast.